This Mid-Size Munchie Box is perfect for mid-size dogs or homes with more than one pup that deserve a special treat. Your Mid-Size Munchie box is brimming with goodness and contains 3 packages of hand-made gourmet treats made with healthy, natural and organic treats, which will wag the tails of even the fussiest barkers! 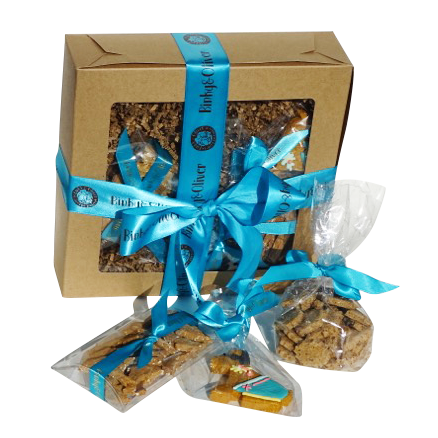 Each box comes with one surprise decorated treat as all good dogs deserve a special treat!